Sorry to those out there looking for some updates to the blog, I've been cooped up waiting for the weather to let me back on the road again. Continuing from last week's little story, I took a stroll down to the sea and snapped some photos of the chaos in Oak Bay right now. 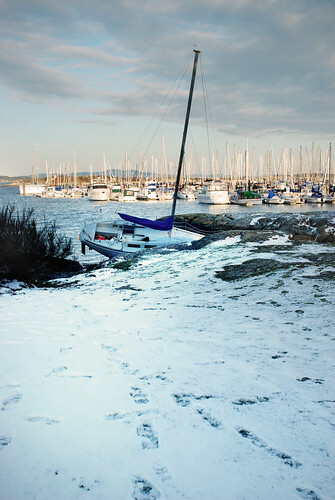 1 dismasted boat, 2 sailboats aground and one boat dragging anchor into the reefs. There are bunches of photos of the victims below.